American Farm Bureau Federation is part of a collaborative effort to reduce food waste and loss. The “No Taste for Waste” campaign features an interactive website, special edition “bookazine” and social media resources for consumers interested in reducing household food waste, and for farmers and ranchers who are taking steps to fight food loss in their fields. 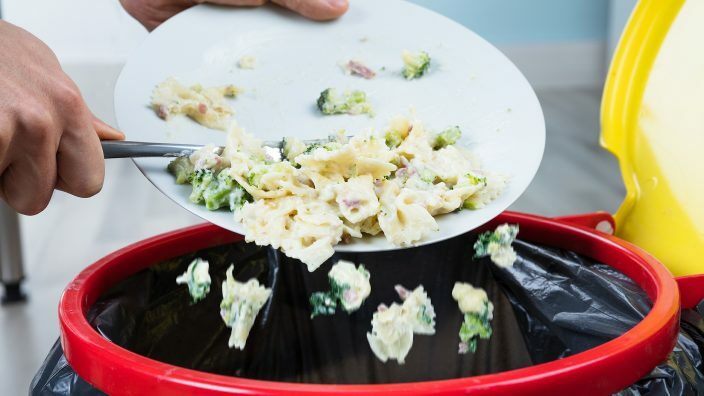 AFBF and other partners, including Land O’Lakes SUSTAIN, Valent BioSciences Corporation and FLM Harvest, collaborated with the CropLife Foundation and Meredith Agrimedia to launch the “No Taste for Waste” campaign. The campaign connects consumers to real farmers, like Washington state apple growers Mike and April Clayton, who work hard to use sustainable practices and act as good stewards of the land, while reducing food waste. A bookazine, titled “Waste Less, Save Money!,” produced and distributed by Meredith Agrimedia, is an illustrated publication that includes recipes, meal planning tips and stories about how farmers use innovative ag technology to reduce waste on the farm and in their communities. Consumers can find it at newsstands nationwide beginning in April 2018. The publication will provide readers the opportunity to learn about people like Brett Reinford, a dairy farmer in Pennsylvania, who powers his farm and more than 100 other homes with energy from food waste processed in a digester. They can also read about Luella Gregory, a cattle farmer and soon-to-be cookbook author in Iowa, who educates elementary school kids about sustainability and how technology makes farms more efficient. Six other farm families are profiled in the bookazine, along with tips for decreasing food waste, straight from the people who grow our food. Timed to launch simultaneously, the accompanying website, NoTasteForWaste.org, brings the bookazine to life. Consumers will have access to a weekly meal planner, online tools to help reduce waste at home and more stories from farmers who are combating food waste and loss. A growing collection of recipes from farmers, bloggers and the Meredith Agrimedia test kitchens will also be highlighted on the site. In addition, consumers and farmers can share their stories and food preservation tips using #NoTasteForWaste on Facebook (@NoTasteForWaste) and Instagram (@NoTaste4Waste). Consumers are increasingly aware of the environmental, economic and social price tags attached to food waste. Food waste reduction is set to become a hot trend at restaurants, grocery stores and home kitchens in 2018, according to the National Restaurant Association, Forbes Magazine and Food & Wine Magazine. In the United States, up to 40 percent of all food produced is lost to waste, according to Agriculture Department estimates. Food waste was the topic of a 2016 story in Our Ohio magazine. Ohio State University coordinates the Food Waste Collaborative. Join the food waste movement by visiting NoTasteForWaste.org or pick up “Waste Less, Save Money!” at select newsstands and grocery stores.